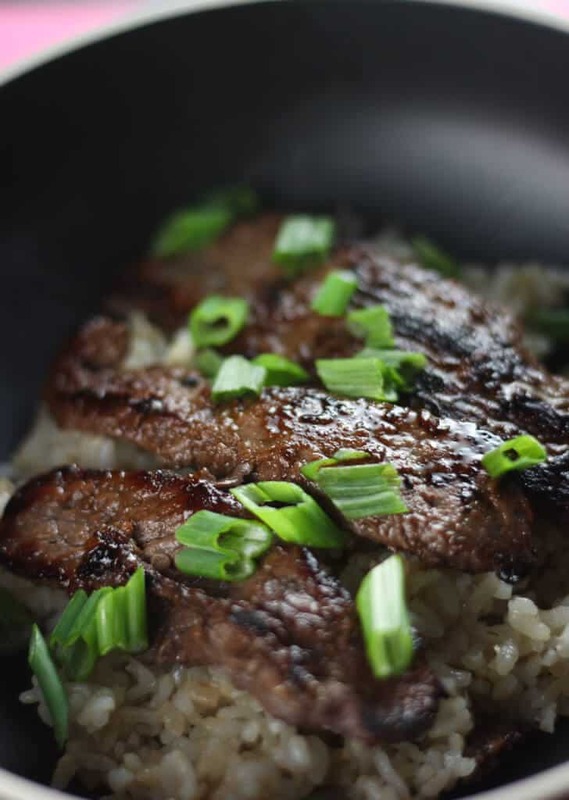 The pros: Tasty beef in a sesame soy marinade that is ready super quick on the grill or pan. 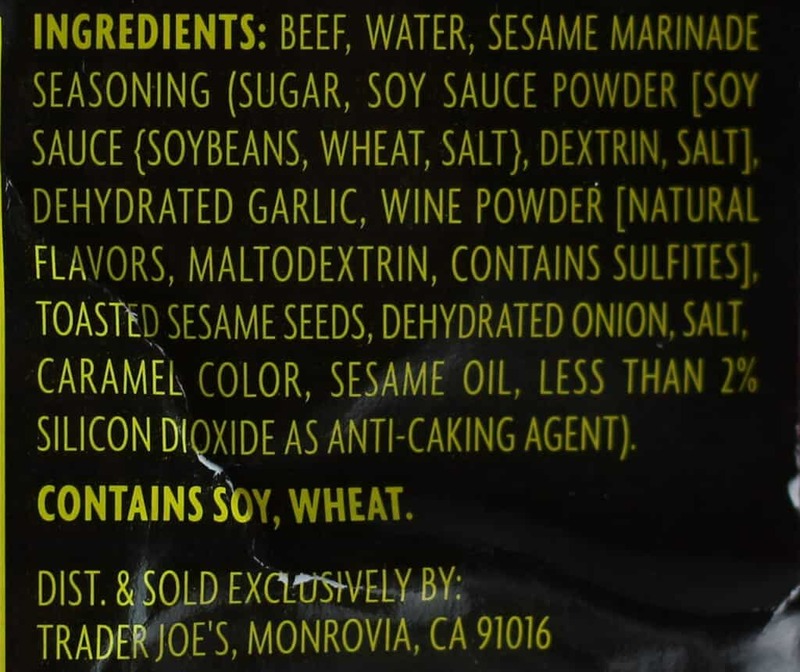 Trader Joe’s Beef Bool Kogi meat was lean. The cons: A mild heat would have added to this, but can also be done at the end. High in sodium. The verdict: For $7.49 per pound this is similar to Trader Joe’s Korean Style Beef Short Ribs in terms of the flavor of the marinade. It’s a completely different cut of meat and you will not be dealing with the amount of waste that you’ll have after having short ribs. You’ll also be slightly ahead in terms of finances too as this is cheaper to buy. Out of the bag you get beef that are sliced thin the way chicken cutlets would be sliced thin. This means they are going to cook quick and make for a fast meal with minimal effort. Would I buy this again? Yes! I’d reach for this every time rather than Trader Joe’s Korean Style Beef Short Ribs because it’s less involved. It’s not as greasy and there is no waste. No bones to throw out. It’s all meat. There is no need to defrost. This is just grill and go. I didn’t find it needed 5 minutes per side either. These slices were thin enough that they cooked quickly. 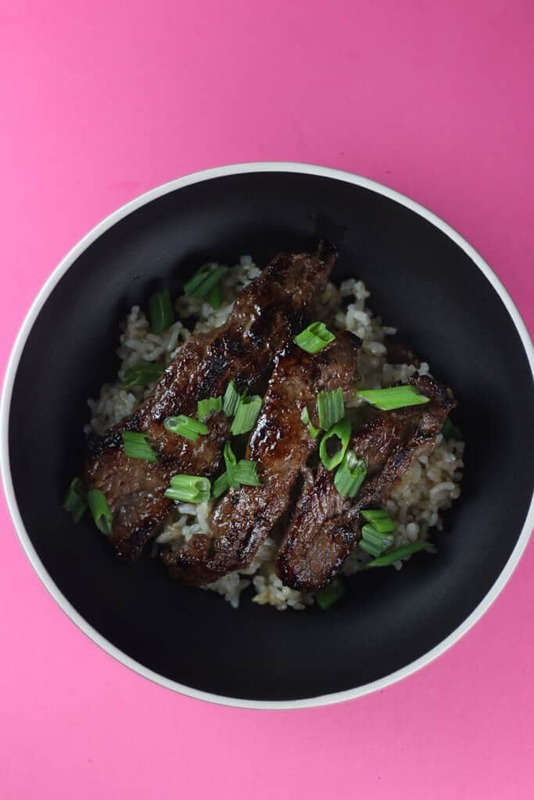 This beef would be delicious served with rice, noodles, zoodles, or salad. 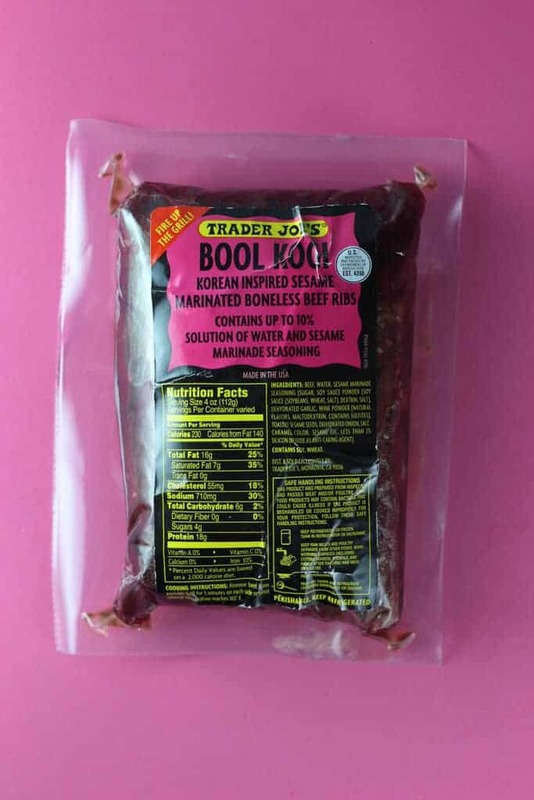 Trader Joe’s Korean Style Beef Short Ribs were good, but Trader Joe’s Beef Bool Kogi was better. Did you try it? Tell me what you thought in the comments section. Once again you steered me in a delicious direction. Based on your recommendation I picked up a package of the Bool Kogi when a last minute dinner guest had me wondering what would be a tasty dinner. It was almost no effort to cook in my grill pan, and I pared it with the TJs riced cauliflower stir fry and some steamed broccoli. It was incredible! So much so I’ve already put it on my shopping list for this coming week. I saw an Instagram post where they cooked it on the bbq with some grilled pineapple — so, I’m pulling out the Webber. Hey Penelope! I’m glad it went so well for you. I hope you found the review helpful. Now, that pairing sounds phenomenal. Thanks for sharing that here! Thanks again for taking the time out of your day to stop by and share your thoughts. This was nasty, nothing but fat! I threw half of it away. Hey Toopy! Thanks for stopping by and sharing your experience. Bummer yours was fatty, the ones I’ve been getting seem pretty lean. Good to know there might be some variation in quality.